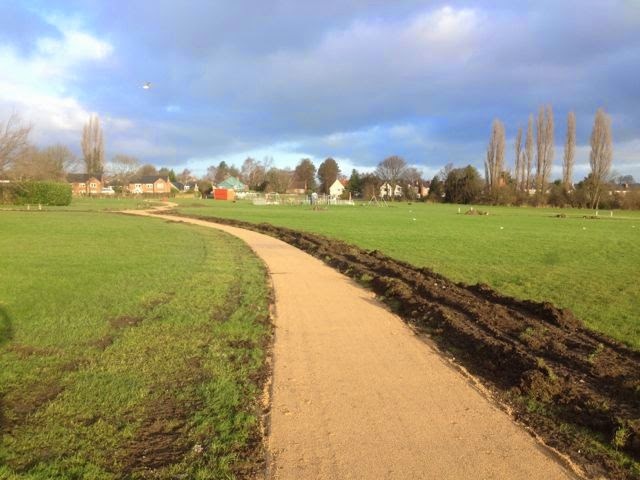 New path right across the park more or less finished. The large piles of spoil will be used in the park in the new year rather than transported away. Drainage work isn't finished yet.